Over the past few weeks, several media outlets (Toronto Life, CTV News, NPR, the BBC, The Guardian, to name a few) have covered my story. 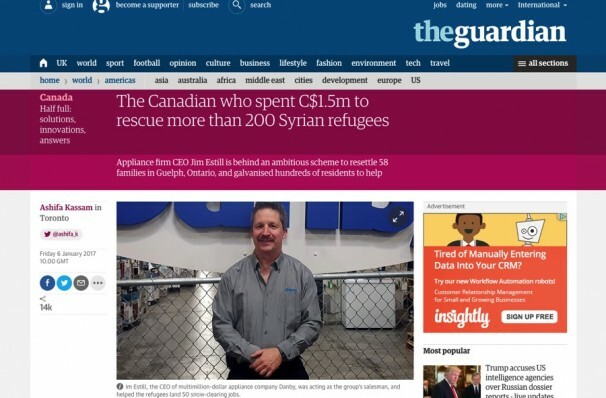 Donating to the new GoFundMe campaign I created — all donations will go directly to helping Syrian families settle into new lives in Canada; and/or donating to The Muslim Society of Guelph — our closest ally in helping integrate new Syrian families into Guelph. P.S. I’ve listed here some relevant articles and interviews for your convenience. Take some time now to read about the families you’ll be helping. TORONTO LIFE — When Jim Estill decided to sponsor 50 Syrian refugee families, he didn’t tell anyone about it at first — not his accountant, not his friends, not even his wife… Full story. THE GUARDIAN — On a recent snowy Saturday, Jim Estill went knocking on his neighbours’ doors, offering to shovel snow from walkways and driveways for cash. 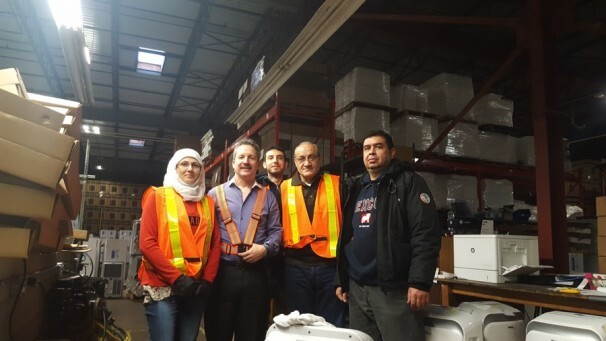 Behind him stood a handful of Syrian refugees… Estill, the CEO of multimillion-dollar appliance company Danby, was acting as the group’s salesman, and helped the refugees land 50 snow-clearing jobs… Full story. 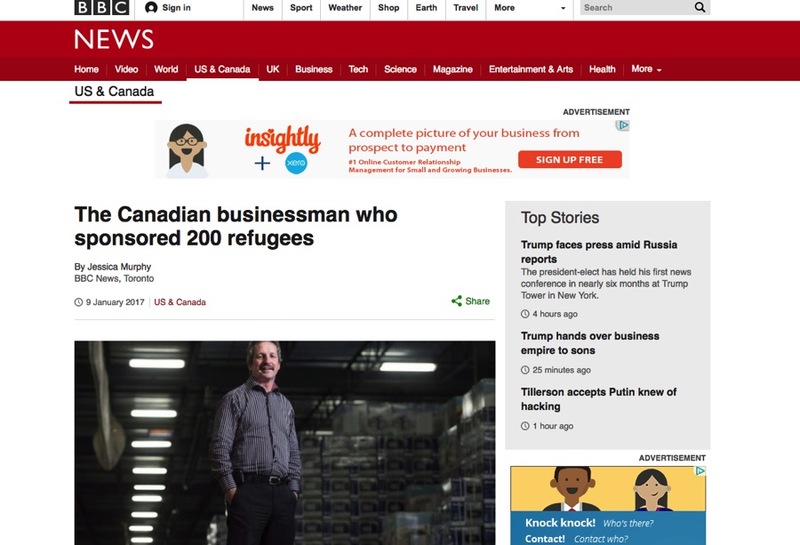 BBC NEWS — One Canadian businessman decided he could do more for desperate Syrians fleeing their war-torn country. So he bankrolled an Ontario town’s resettlement of over 200 refugees… Full story.